You don’t have to be Oprah to have your very own dedicated personal trainer, nutritionist and health coach at your beck and call, thanks to your phone! Best of all, many of the best apps out there are free. See below for the top 5 list among my patients. (There are a couple additional apps I’ve included here that are IPhone only, or are not free.) And I will be mentioning zombies, FYI. Please feel free to comment on your favorites- I’d love to hear your thoughts about what has worked well for you! 1. 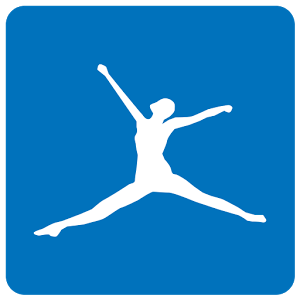 Calorie Counter and Diet Tracker by MyFitnessPal : FREE. Android. simple to use, extensive food databases, it even has a bar scanner! excellent reports and tracking, and add a dash of accountability and fun by making it social- you can connect with your friends and family and make it a team effort. This is a favorite with patients! 2.Restaurants & Nutrition : Fast Food Calories , Calculator for Food Score plus BMI for Weight Loss : $3.49. Android. This app can help you choose the best dishes, easily and quickly, when you are dining out. This is especially helpful if you are diabetic, but is appropriate for anyone who would like support with calorie counting and nutrition while on the go. 3. F.lux: Free for Windows. Also available for Mac, IPhone, Ipad. This program is great for supporting the circadian rhythm and getting you to sleep. Say what? Well, when you look at your computer or phone screen, that bright blue light wavelength stimulates your brain via the optic nerve into thinking it is daytime and therefore time to be alert for the hours ahead. This causes a lot of problems with insomnia in many people who use devices at night, it is like chugging a steady flow of caffeine. This program syncs with your local time to change into a more softer, reddish hue after sunset, which does not stimulate your brain in the same way as blue light. I love this program- I can get to sleep much easier now, even if I am up late on my computer. 4.Deep Sleep and Relaxation Hypnosis by Mindifi – Focus, Relax, Lower your Stress, and Cure Anxiety with Meditation (Kindle Tablet Edition) . FREE (but just for the first session, which you can use over and over.) Additional sessions cost extra. Android, Kindle Tablet. Great for calming the mind when you are having a hard time letting go of work, or stressful thoughts in general. Good way to sample self-hypnosis for better sleep. 5.Relax Melodies: A white noise ambience for sleep, meditation & yoga . FREE. Android. Not only do you get a wide selection of soothing noises and melodies to relax you, or use as background white noise- you can also layer noises to your preferences. 6.RunKeeper : FREE. Android. This is not just for running, you can use it to track your fitness goals with any sport or activity. This app uses GPS to map distance, speed, route and calories burned during your workout. You can also connect with other users through Facebook and keep a page on Runkeeper to share workouts with the community, if you choose.